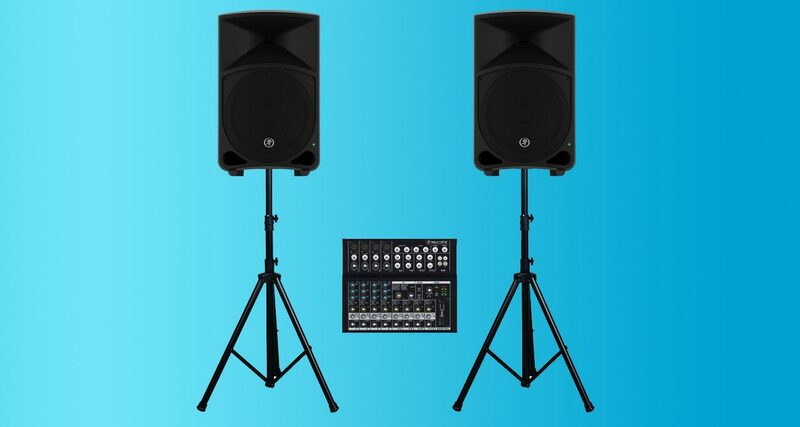 DJ loudspeakers can be daunting – there are a ton of models to choose from in different configurations. There are “active” and “passive” speakers, small ones and big ones, and even speakers that come with built-in mixers onboard. Even if you’ve already settled on a pair, properly setting them up can seem like an elusive, dark art – it’s not uncommon to see DJs with the “wrong” type of sound system for the gig at hand. What are active and passive speakers? Loudspeakers come in active and passive forms. Active speakers already have an amplifier built in (they are also known as “powered” speakers) and this has the benefit of making the speaker more portable with fewer things to lug around and set up. Examples of active speakers include the Alto TX10 and the Cerwin Vega P1000X. Passive speakers need a separate amplifier, and are cheaper than their active counterparts as a result. You will, however, need to get yourself an amplifier, which brings the cost up significantly. That also means that gear set-ups and breakdowns will generally take longer simply because you’ve got more gear to deal with. Here are five tips to help you maximise the speakers in your set-up, whether you’re shopping around for your own set, looking to rent, or have an existing set-up already. Loudspeakers come in different shapes in sizes because they’re meant for different uses. Sometimes size does matter and this is one of those cases. 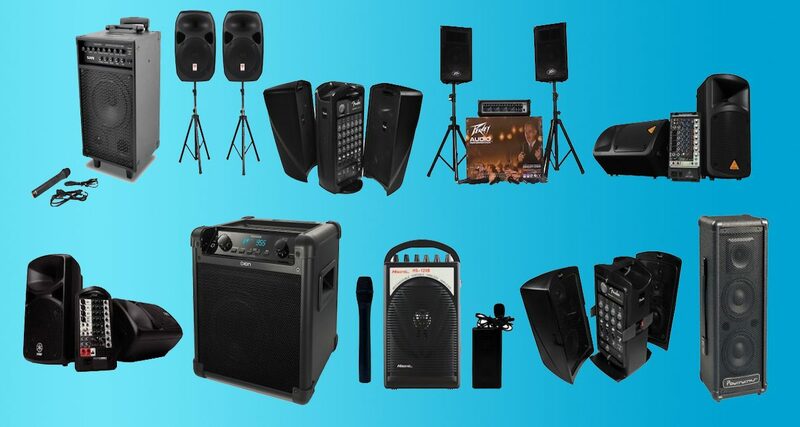 Loudspeakers for DJing usually come in sizes ranging from 8″ to 16″; you aren’t going to find a small speaker that’s going to be suitably loud enough for professional mobile DJing. 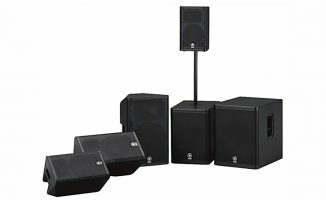 When choosing the size of your loudspeakers, you will need to think about the dimensions of the spaces that you usually gig in and also the average number of people expected to be there. Bigger venues need will need bigger or more loudspeakers. 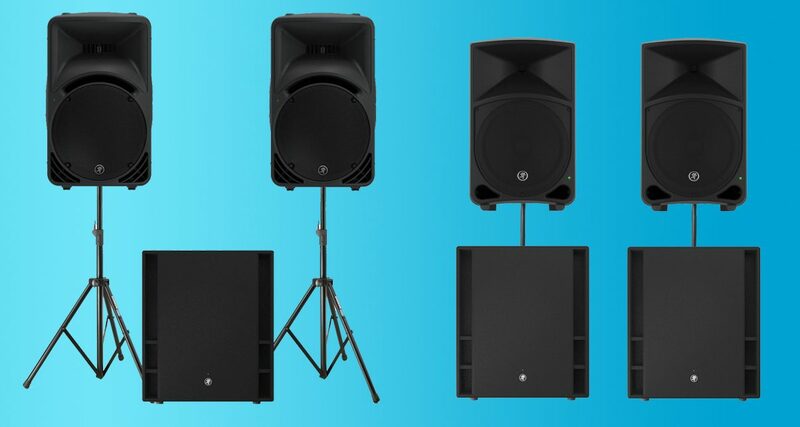 A typical small DJ loudspeaker set-up will consist of two speakers on stands – our Assistant Editor Joey takes along a pair of the aforementioned Cerwin Vega P1000x for small parties with around 60 people maximum. The P1000x has a 10″ woofer which is quite small, but he augments them with a companion subwoofer. A subwoofer is a specialised speaker that only reproduces the bass or “low-end” in your audio. Subwoofers also come in active and passive versions. They are especially necessary when playing genres like hip-hop and dance music, where the punchy or rumbling basslines are integral components to the tracks. A subwoofer with a bigger cone and a bigger cabinet with intelligently placed ports will always sound deeper and louder. Quality loudspeakers and subwoofers are often heavy. Lugging them around requires equipment like the dolly pictured. Generally, the heavier the loudspeaker, the sturdier it will be. A correlation can often be found between price and weight; although there are some exceptions thanks to newer materials and production techniques. Generally, cheaper loudspeaker enclosures are made from fibreboard or even plastic, which” flexes” more than the plywood or MDF used in pricier loudspeakers. Thicker materials are better than thinner and of course, in this case, thicker means heavier. Better-sounding loudspeakers are as such because the heavier materials used in their construction prevent the speaker itself from vibrating inside the box. Also, active or powered loudspeakers and subwoofers are heavier than their passive counterparts because they also have their amplifiers built into their bodies. Just be careful when lugging your larger speakers around and always perform correct lifting and placing techniques. Since we spend so much time on our feet, us DJs need our backs to be in tip-top shape and it only takes a split second to slip a disc. 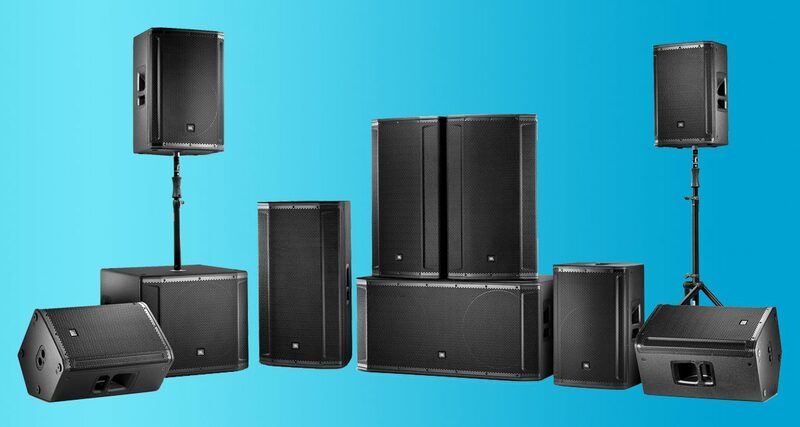 For added low-end reinforcement in bigger venues, you may want to add a subwoofer or even two to your speaker set-up. This gives more “thump” and power to your sound, especially if you’re playing dance music. You also need to get the configuration of speakers right for the space you are playing in. Setting up for an outdoor wedding dance requires a different approach to a gig done in a loft space, for example. 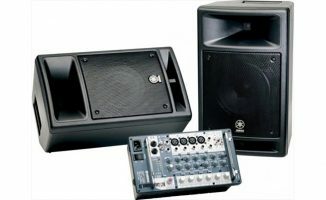 The general rule of thumb is to have a 2:1 ratio between tops and subs for medium-sized venues, though having a subwoofer depends on the style of music you are playing. 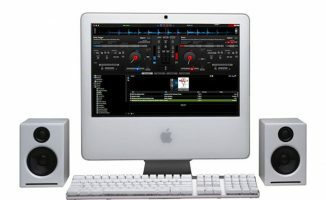 More bass heavy-styles such as dance, EDM, house / techno, and hip-hop would benefit from the low-end generated by a subwoofer, and in some cases, you may even want to have two subwoofers alongside the two loudspeakers. Basically, if you want your audience to “feel” the bass as well as hear it, you’ll need subs. If you’re just playing softer / acoustic-style genres such as classical and jazz in a smaller venue, you probably won’t need the bass reinforcement. The positioning of your PA is as important as anything else. 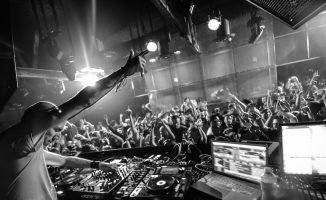 The usual optimum is for them to be at your audience’s head level on either side of the DJ booth, pointing into the crowd slightly. Always leave at least 30cm up to one metre of “breathing room” between the speakers and any walls or the ceiling. If you do not mount the speakers above the audience, you will blow all the moving air into the first row of people. 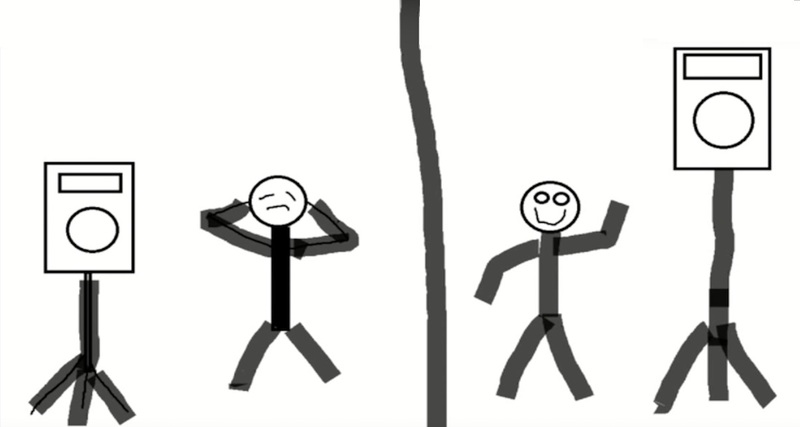 This is terrible for their hearing and the sound will not carry to the centre of the dancefloor. If you don’t leave any breathing room, the speakers will not be able to move the air efficiently enough, and you risk undesirable “colouration” that may make the sound muddy or dull. If you’ve got subwoofers in your set-up, they’re easier to place – you simply leave them on the floor below the or somewhere near the main speakers. 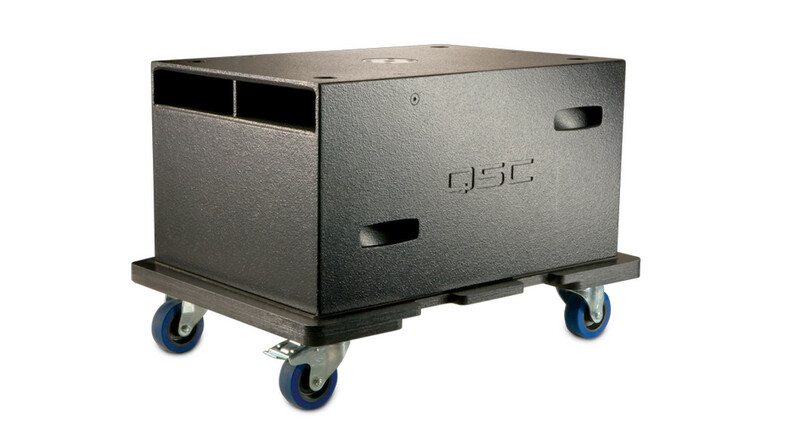 Subwoofers can be placed on the floor because they only transmit low-range frequencies (below 100Hz). This means that these long waves will “bend” and reflect around the people better and still distribute themselves throughout the venue. Generally, the main speakers sit on top of the subwoofers using a simple connector pole (or extension pole) to get them high enough in the air. If your loudspeakers lack built-in mixer or EQ controls, then adding a small mixer to your rig allows you to effectively “EQ for the room”. If your loudspeakers have EQ knobs onboard, then you can plug your DJ controller or DJ mixer straight into them. If they only have a volume control though, you’ll want to get yourself a small mixer. Every room you play in will sound different – having a separate mixer will give you the ability to make EQ tweaks to the overall sound coming out of your loudspeakers. This is the finishing touch that will help you get the most out of your system. Once you have set up the room EQ via your little mixer, you can now DJ with all your knobs at 12 o’clock as usual. If necessary, stick a little sign on your mixer / controller to warn other DJs not to meddle with the EQ. Being able to provide a professional sound at a variety of different events is an important part of building your name as a mobile DJ, and we’ve just given five loudspeaker secrets that rookie DJs don’t realise until it’s too late. Whether you’re setting up for a crowd of 50 or 500, follow the five steps above to get the best sound possible from your loudspeaker set-up. Did we miss anything out? Which loudspeakers are you currently using in your rig? Do you have any stories to share where you were using the wrong PA for the gig? Also as a rule of thumb, there will sometimes be a null at the halfway point between the subwoofer and the wall it is pointed at. Sometimes knowing this in advance helps offset this problem with placement. Having them as close as possible in time is also desirable but that is beyond the scope of this article. You are quite right but when writing this, we were working on the assumption that you would have your booth set up in the middle(ish) of a room, facing the middle of the dancefloor. So what is it please- head level or above head level? Hello Christian, thanks for the great article. Looks like I will need to get a stand for my Harbinger V2215. I have it sideways on the floor angled up. Also, do I need an additional mixer if I was to add a subwoofer to my set up or is there a way to hook the subwoofer up to the built-in mixer of my Harbinger?